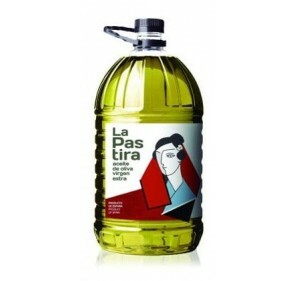 Virgin olive oil La Pastira from Picual variety. Box with 3 bottles of 5 liters. Green color with golden hues. 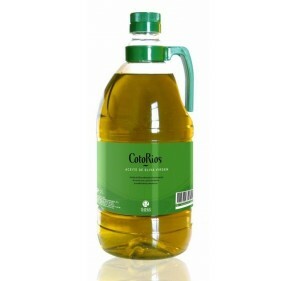 Soft fruity smell reminiscent of green and ripe olive. Light bitter and spicy taste. Real Mentesa. 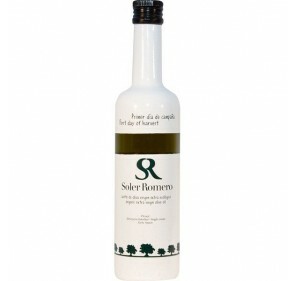 Picual Olive oil. 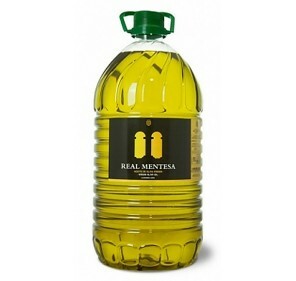 Virgin olive oil Real Mentesa from Picual variety.Box of 6 bottle of 5 Liters. Box of 8 bottles of 2 Litters. Box of 15 bottles of 1 Litter. 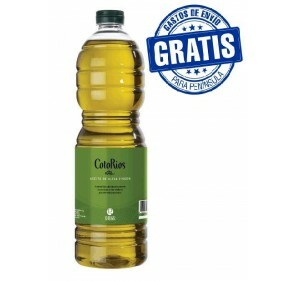 FREE SHIPPING TO PENINSULA Virgin olive oil Coto Rios from variety Picual. Box with 15 bottles of 1 liter.